MainAll NewsInside IsraelCould Jewish Home control Judea-Samaria? Could Jewish Home control Judea-Samaria? Original coalition agreements gave Deputy Defense Minister Ben-Dahan control over Civil Administration; Ya'alon ignored them. Former Defense Minister Moshe Ya'alon did not honor the agreement to grant Jewish Home full control over Judea and Samaria, the party noted Friday - and hope is high that Yisrael Beytenu chairman Avigdor Liberman will live up to his end of the coalition agreement. 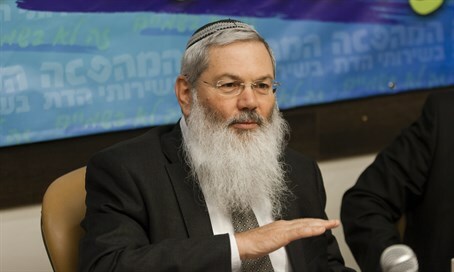 "According to the coalition agreement, the Deputy Defense Minister from Jewish Home would be responsible for the Civil Administration in Judea and Samaria," Deputy Defense Minister Rabbi Eli Ben-Dahan stated to Army Radio. "To my great dismay, that never happened, because Defense Minister Moshe Ya'alon never kept the coalition agreement." "I believe that Avigdor Liberman will give me the ability to do this, and to make life easier and simpler," he added. Ya'alon became infamous during his stint as Defense Minister for evicting Jews from their homes in Judea-Samaria, despite allegedly being part of a right-wing government.